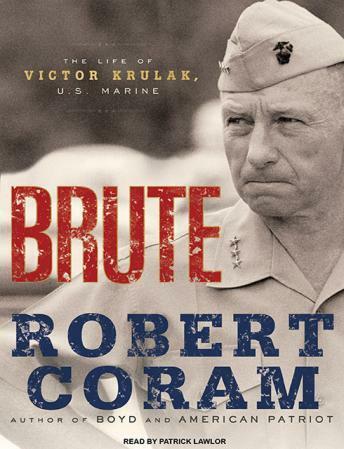 From the earliest days of his thirty-four-year military career, Victor 'Brute' Krulak displayed a remarkable facility for applying creative ways of fighting to the Marine Corps. He went on daring spy missions, was badly wounded, pioneered the use of amphibious vehicles, and masterminded the invasion of Okinawa. In Korea, he was a combat hero and invented the use of helicopters in warfare. In Vietnam, he developed a holistic strategy in stark contrast to the Army's 'Search and Destroy' methods-but when he stood up to LBJ to protest, he was punished. And yet it can be argued that all of these accomplishments pale in comparison to what he did after World War II and again after Korea: Krulak almost single-handedly stopped the U.S. government from abolishing the Marine Corps.